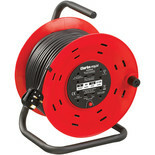 Robust polypropylene 25m cable reel with 4 socket outlets and thermal cut out. Perfect for trade or home use. 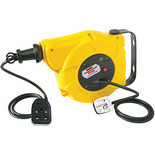 16A plug to13A socket converter ideal for camping, caravanning or use with on-site generators etc. 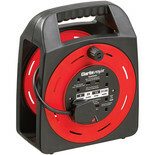 Robust cable reel with 4 socket outlets in a convenient cassette with rewind handle for tidy storage. Perfect for use in the home or business. 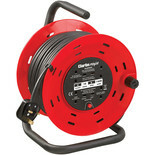 Robust polypropylene 50m cable reel with 4 socket outlets and thermal cut out. Perfect for trade or home use. 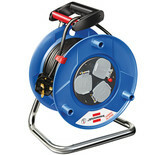 Semi enclosed 25m cable reel with 4 socket outlets and thermal cut out. Perfect for DIY, trade or home use. 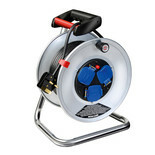 A robust multi outlet 20m cable reel with a rust resistant galvanised steel body supported in an angular metal carrying frame and featuring heavier duty cable to ensure minimal voltage drop. 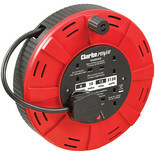 Robust polypropylene 25m cable reel with 4 socket outlets and thermal cut out. 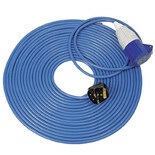 2.5mm2 cable. Perfect for trade or home use. 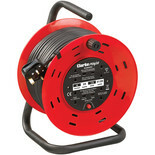 Super Solid cable reel. Robust, newly designed steel tube frame for professional use. Triple socket outlet with safety cut-out. 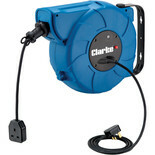 Professional cable guide handle, with a specially robust reel body. 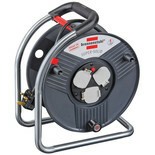 A 25 metre long, conventional style multi socket mains cable reel for domestic and commercial use. Housed in a tough plastic enclosure and supported by a rigid angular metal frame. 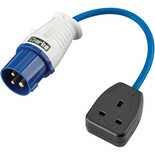 14 metre extension lead -IEC 16A Plug to BS1363 13A Socket - Ideal for use in camping vehicles and with sockets found in caravan parks and marinas. 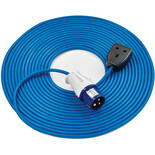 A hard wearing extension lead which is ideal for external use on construction sites, camping or yachts/marinas. 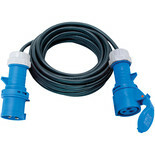 Constructed with H07RN-F 3G2,5 rubber cable fitted with CEE 230V/16A plugs and sockets.